This is a substantial outdoor musical instrument that produces a strong, deep, resonant sound – perfect as school playground equipment, for music therapy sessions and creative inclusive playgrounds. 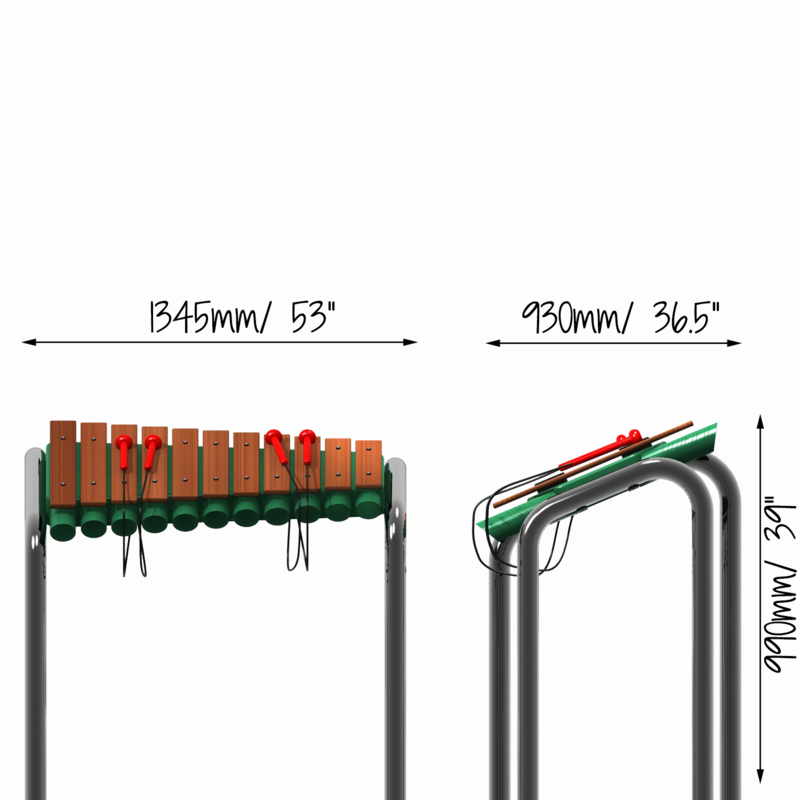 The notes used on the Grand Marimba are made of hardwood and are equipped with individual resonator tubes on the underside. The resonator reflects and projects the sound back to the player resulting in more volume and a brighter sound. No wires or strings, each note is individually and securely attached to the resonators for maximum vibration with incredible tones and resonance. Pentatonic Tuning - easy and enjoyable to play.